The midwest was burning up and so was the corn in the dry land states, but in Nebraska…almost every field I drove by was being irrigated. 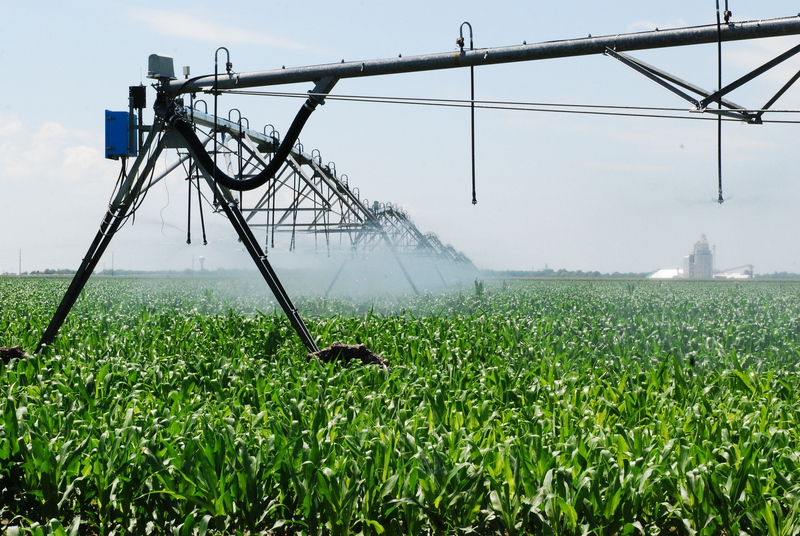 Nebraska sits on top of the United States largest aquifers, the Ogallala Aquifer…so farmers tend to irrigate to assure a large grain yield. Also, the pivot irrigation system on wheels lets you program how much water to feed the field in a determine amount of time…all from the farmhouse.